Talking about longevity with the oldest people in America. Every day, the media provides the American public with opportunities to say, “Happy Birthday” to the oldest people in America. 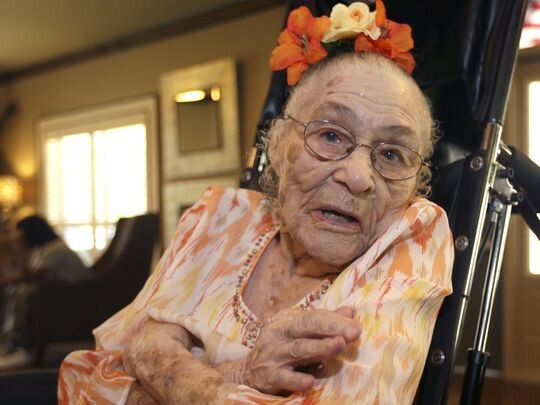 Some of these oldest Americans are more than 112 years old. These are known as “super-centenarians.” For example, in 1999, Sarah Knauss died at the age of 119 years and 97 days; she is the oldest lived American in history according to the Guinness Book of World Records for that year. Since the dawn of time, a healthy diet has proven to be a great aid to living longer. In earlier societies where food supplies were high in carbohydrates, fats, sugar and salt, life spans were limited. Low carbs can reduce the onset of certain types of congenital illnesses such as diabetes, high cholesterol and high blood pressure. In cultures where red meat, potatoes, bread, rice and pasta are mainstays of the diet, not only do these foods encourage diabetes, but they also increase the potential for stroke and heart disease. With a low carbs regimen, the focus is on raw vegetables, lean meats eaten sparingly, fresh fruits, gardening and grain products. The oldest people in America ate less meat because during war time it was rationed or there may have been less meat due to less availability. The oldest people in America understood the secret to long life was balance between their daily activities and a healthful diet. One mitigating factor in the rampant increase in obesity among the young and middle aged in America today has to do with creature comforts and “convenience.” The oldest people in America chopped wood, used washboards to do laundry and many built their own homes by hand. Looking back at our own elderly relatives’ lives reveals a lack of creature comforts such as central heating and air conditioning, household appliances like washers, dryers, dishwashers and gas or electric stoves. They got much of their exercise filling wood bins to keep their homes warm or to cook meals. Many super-centenarians say they believe living a “no alcohol and no tobacco” lifestyle contributed to their longevity. They may have known something many today seem to ignore. Alcohol is a chemical that affects the organs of the body, just as tobacco affects the lungs and eventually the entire body. All humans have a need to believe in something they consider higher than their fallible selves. The oldest people in America were keenly attuned to spirituality as a way of sustaining their faith and their long lives.